A small, lightweight harp, recommended for Harp Therapy. 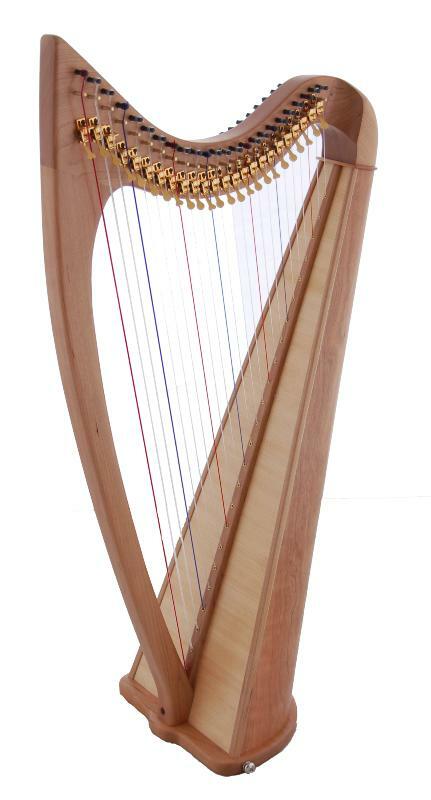 Christina Tourin, Director of the International Harp Therapy Program, approves the County Kerry Harp for use in Harp Therapy. 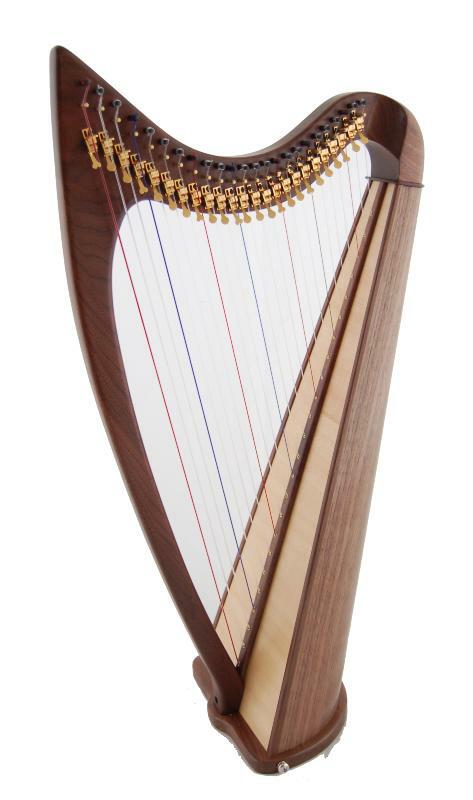 She believes it has the ideal tonal qualities for therapy work, with a mellow, even tone throughout the compass of the harp. 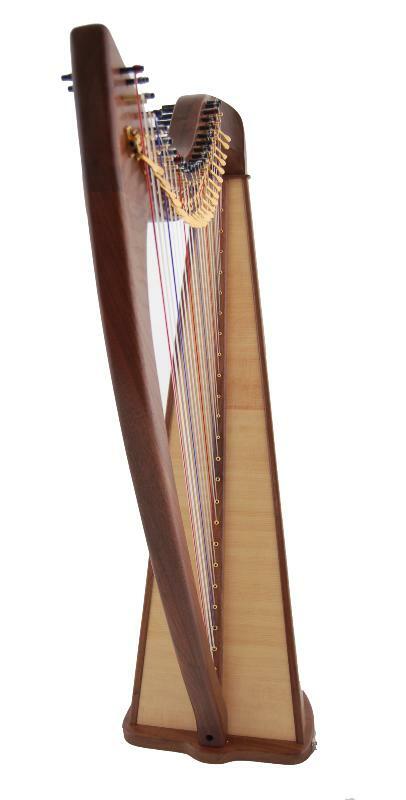 The four lowest strings are wound for additional resonance. 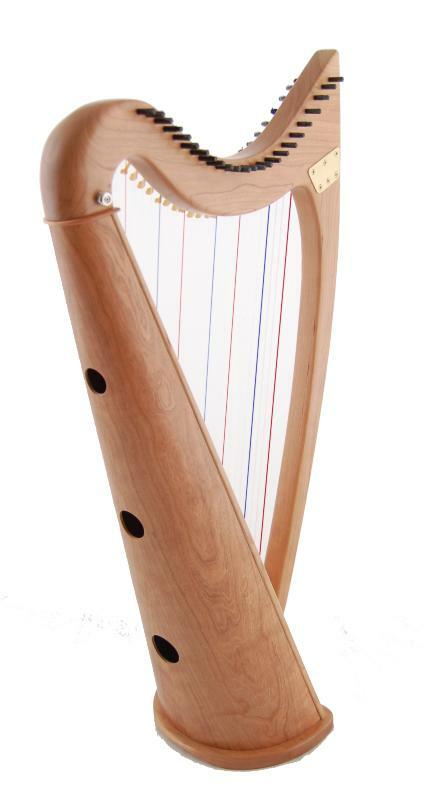 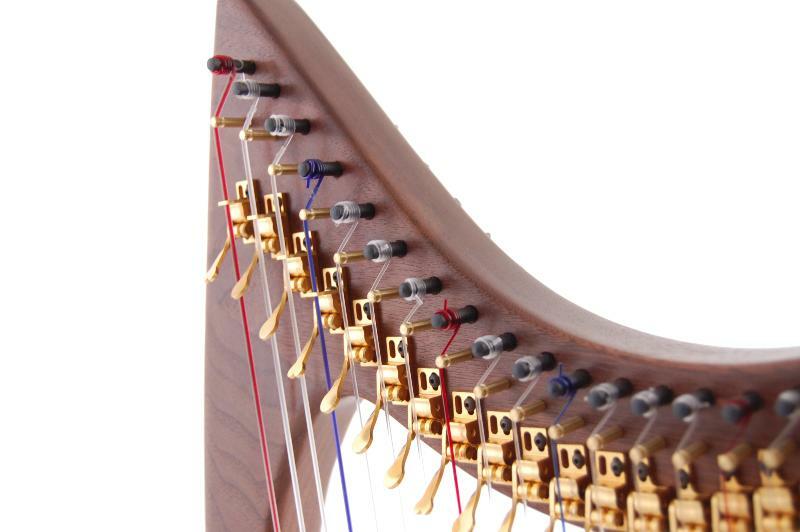 The County Kerry Harp has a rounded back for playing comfort and features an attractive natural wood finish. 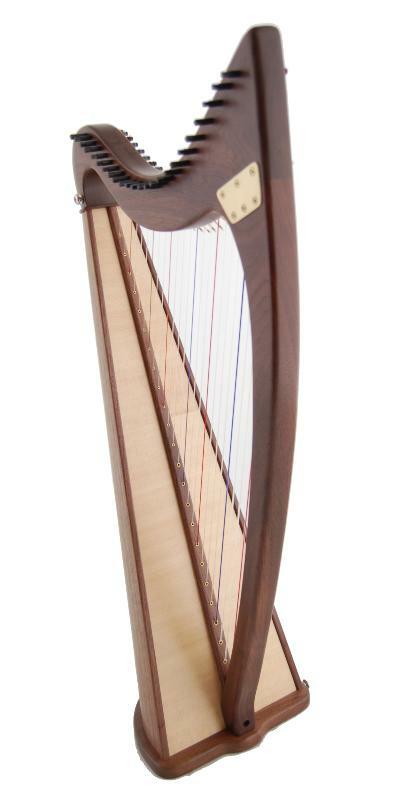 Images (from left to right) feature a County Kerry 24 in Walnut and Cherry.